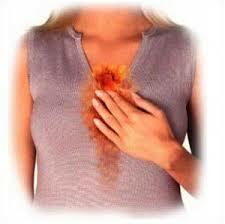 Homeopathic remedies will help a person with acute or chronic heartburn symptoms improved health gut, naturally. Heartburn is form of indigestion felt as a burning sensation in the chest, caused by acid regurgitation into the esophagus. The sensation is from an irritation of the esophagus that is caused by stomach acid. This creates a burning discomfort in the upper abdomen or below the breast bone. The symptoms are similar to those of a heart attack or heart disease but are related to digestive issues instead. The muscular valve called the lower esophageal sphincter, or LES, keeps stomach acid in the stomach with the help of gravity. The LES is located where the esophagus meets the stomach -- below the rib cage and slightly left of center. Normally it opens to allow food into the stomach or to permit belching; then it closes again. But if the LES opens too often or does not close tight enough, stomach acid can reflux, or seep up, into the esophagus and cause the burning sensation. Chronic heartburn or gastroesophageal reflux disease (GERD) can lead to more serious problems. Heartburn with burning pains felt in the stomach with food backing up into the esophagus. Burning pains all the way up to the throat. Severe, watery, burning, yellow diarrhea can occur. Better with warmth, better while drinking hot drinks like tea. Better with hot application. Thirsty for small, frequent sips of cold water. Anxious, restless and fearful of being left alone, fear of germs, fear of disease, fastidious type of person. Belching, bloating, heaviness in the stomach and chest and distress from eating simple, plain foods. Burning pains extending from the stomach toward the back. Aversion or aggravation from meats, milk and fats. Desires fresh air or for being fanned during heartburn attacks. They feel "air hunger". Burning pains extending from the stomach toward the back. Better with burping or belching. Heartburn and stomach pains of all types including burning, bloating, aching, constipation, nausea, belching and the feeling of stomach digest and acid backing up into the throat. Main homeopathic remedy for heartburn, over indulgence, digestive complaints. Short tempered. Ambitious, overworked, very intense. Bossy and easy to anger. Person eats and drinks food and/or alcohol in excess. Desires stimulating foods like spicy food, fatty foods, coffee and other stimulants like cigarettes or alcohol. The typical "Type A" personality. Heartburn with burning pains felt in the abdomen, bloating and a feeling of fullness accompanied by great thirst for cold drinks. Drinks are vomited back up shortly as soon as they become warm in the stomach. Belching and vomiting of undigested food. The person is mild-mannered, fearful, affectionate and likes company. Heartburn with a sensation of a hole being burned in their stomach accompanied by gas and flatulence. Feel over-stuffed after eating and want to loosen their clothing for relief. Sweet, gentle, yielding, whiny and tearful. They attract protection and want a lot of sympathy. Afraid of being alone. Crave ice cream, fatty foods and pastries, which make them feel worse. Fatty goods will and aggravate the reflux.